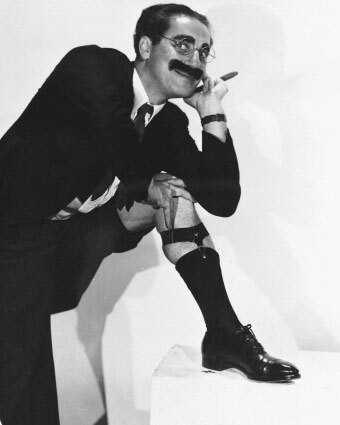 Groucho shows a bit of gam. Now, I’ve had a LibraryThing account for quite a while,* and the two of us have gotten along well enough. Until recently, that is. They added a new feature to their website called WILL YOU LIKE IT? Based on the contents of your library, they’ll guess how likely you are to like a particular book. Of course this meant that I had to ask LibraryThing how likely I was to like my own books. So, I guess we can take from this that Library Thing thinks I am likely to like things that are unpopular (i.e. Margarettown) though it can’t say for certain because they’re dealing with an (alas!) sadly limited set of data for this particular text. 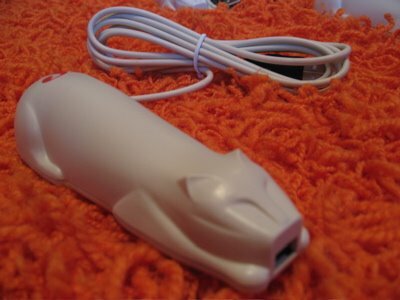 *I even have the LibraryThing book barcode scanner, the CueCat. I enjoy using this instrument more than I really want to admit (it’s like playing “store”) though the CueCat does look a bit… um… tawdry. I have no idea what this scary rug is… I took this picture from LibraryThing’s website.